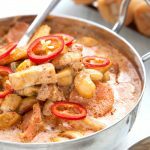 This gorgeous Thai-style red curry is a family favourite as it’s quick and simple to prepare in under 30 minutes, and is packed with vitamins from the veggies and protein from the tofu. 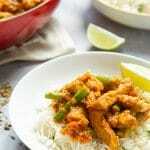 Here’s how to make this spicy, deliciously creamy, low-carb red curry. Heat the oil in a wok until very hot. 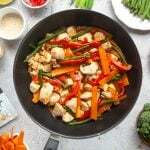 Cut the pepper into inch pieces, the carrot into thin slices and the sweetcorn lengthways and add to the wok for a couple of minutes until just taking on colour. Add the tofu and cashews, fry until heated through, then add the paste and stir through. When it starts to release a strong, hot aroma, add the coconut milk and simmer gently for a couple of minutes, then turn off the heat. 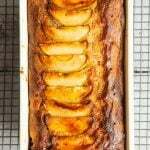 Serve with a wedge of lime and a few thin slices of fresh chilli, if desired. 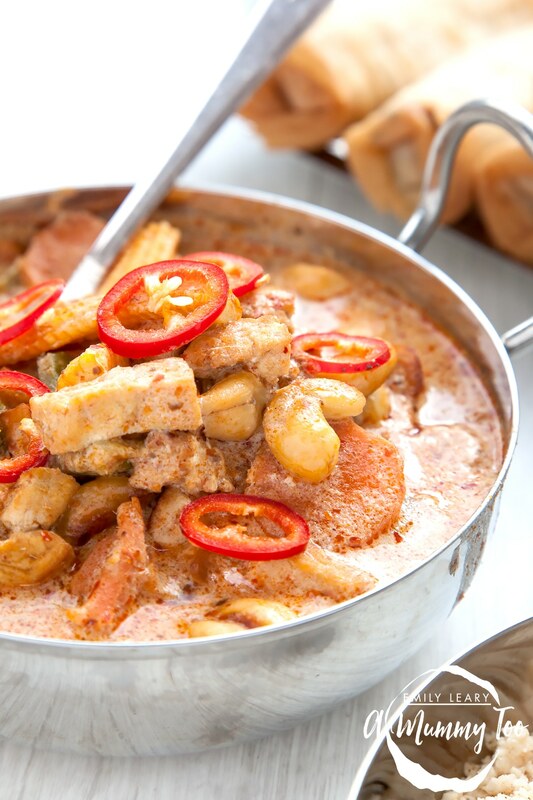 A creamy, spicy vegetarian Thai-style red curry. For another delicious vegetarian main, try my lentil shepherds pie. MMMMMmmm! This looks really good. My boys LOVE tofu, although I have never tried it in curry before, I shall have to now! First time I see Cauli rice recipe. And, I got to say, I love it! Delicious! Just what we need in this cold weather. We’ve been playing with cauli rice (homemade) and like it. A ready pouch looks super convenient. Adore Thai curries, we always have some pastes in the fridge. This looks great and I am going to make it this week-keep hearing about cauliflower rice and like the thought of using it instead of rice sometimes!